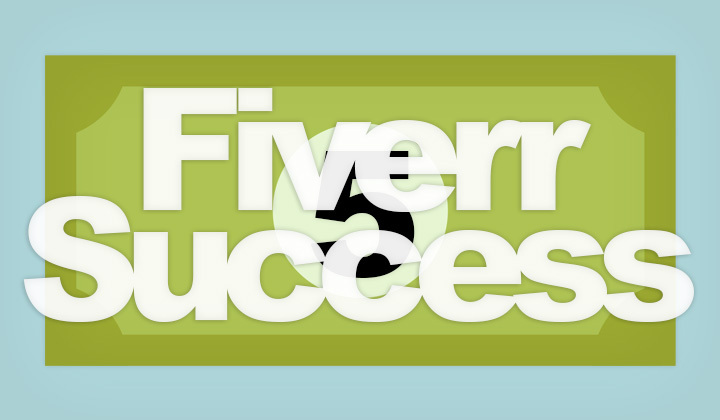 From the many factors for creating a successful Fiverr gig, the one that really keeps you afloat is a method of getting lots of good reviews.. right? With a significant amount of positive reviews, you can outmatch your competition, rank higher in search results, attract orders and profit. But Fiverr is built so that even one negative review can have a significant impact on your chances of success. Fiverr leans heavily towards those who can prove exeptional service through a perfect stream of 100% positive reviews. Giving you advantage over others and an opportunity to grow into a successfull seller. But that first negative review, is waiting for you. Someone who thinks that your service could have been even a little better. And if you think, that giving the best service possible is enough. Think again! When I start a new gig, I ask myself what are the possible scenarios for someone giving me anything less than 100%. It’s a learning process, but there is no room for mistake when you are starting and need get noticed. Customers who are completely unsatisfied with your work can actually be a less of a problem, because most likely they want their money back. Thus having no way to leave a review of your service. It is the almost satisfied that are the most tricky. A commonly used practice by serious sellers, is to remind customers not to review until the order has been modified to absolutely satisfaction. Only the problem is that reasons for being unsatisfied might have nothing to do with you. Perhaps it was the nature of their request that was destined not to bring amazing results. That is why my personal key to success has been, that from the very beginning of the order, if there is any reason to suspect, due to the nature of the customers wishes, that they will not be absolutely thrilled from the result. Just press that cancel button! Some jobs might be easy, but they might not always be as rewarding for the customer. So better just carefully build a good stream of perfect reviews, until one day.. one negative review is just a drop in the ocean. I listen to my senses, and don’t hesitate to cancel the gig whenever I feel like it. And it has brought success and profits so far.